They’re rich in HISTORY and culture. 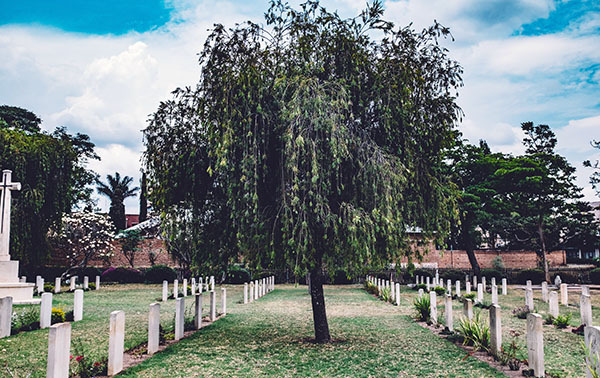 The Wealthy Accountant pretty nicely in one of his own posts: “Cemeteries are a wealth of information, history and pride… I am humbled when I walk past faded gravestones of children who died after only a few days or years of life. At those moments I reflect on how lucky I am and how easy life is today.” Yes!! Parents, grandparents, teachers, leaders, inventors, justice fighters – all kinds of ancestors sleeping there, and all of whom helped shape this great community we’re now fortunate to live in. Great post and I don’t find this weird. Cemeteries are pretty inspiring indeed, I wrote about the importance of reflecting on death too when last time was walking there (). Just keep in mind it could be a double-edged sword. Don’t go there if you are really depressed or something, because it could make you think “do the endeavors and sacrifices even worth it, knowing that in the end, it doesn’t even matter”? Happened to me and it is not a good feeling. Thanks for sharing. Seriously, though, I too am a fan of cemeteries. If you are ever in New Orleans take one of the cemetery tours – they are fascinating, more so with all the bodies above ground. I visited Hollywood Cemetery here in Richmond just a few weeks ago.